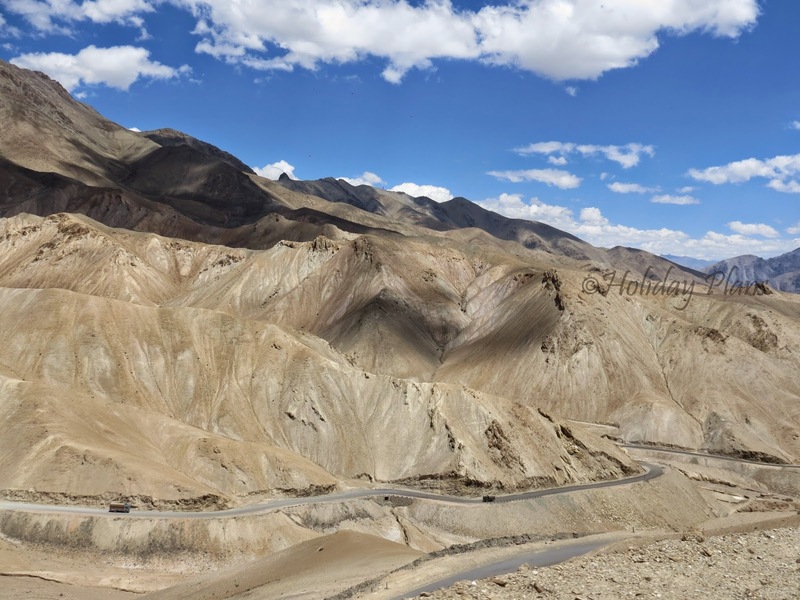 Kargil to Leh is roughly 230 kms and we were animated at the very thought of visiting “The Land of passes” as we entered the third day of our journey beginning from Delhi. 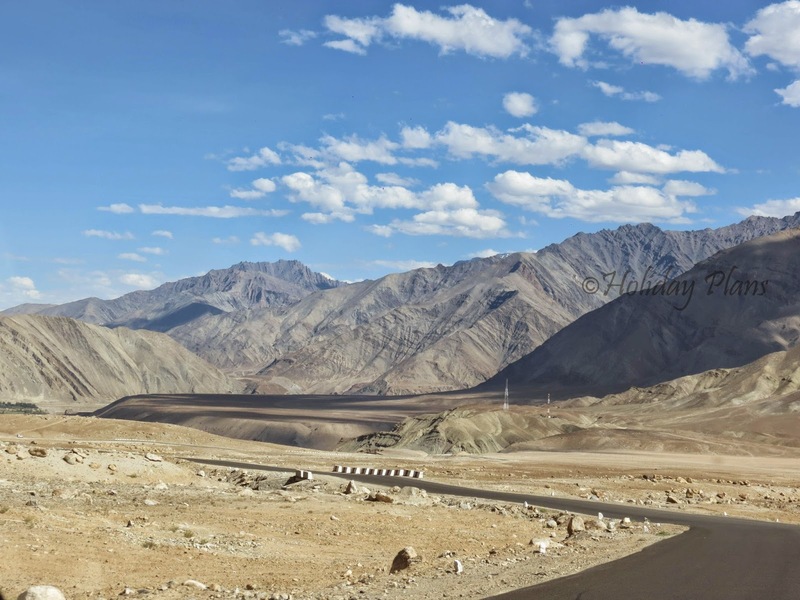 As one leaves the Kargil district the dusty brown mountains with clear blue sky will start accompanying you for a major part of your journey. 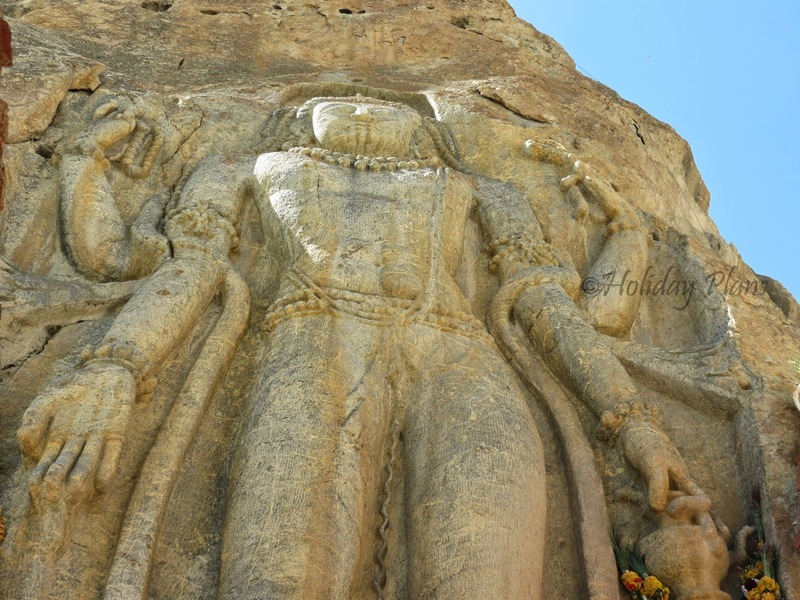 The first place that one encounters on the journey is Mulbekh, 40 kms from Kargil. 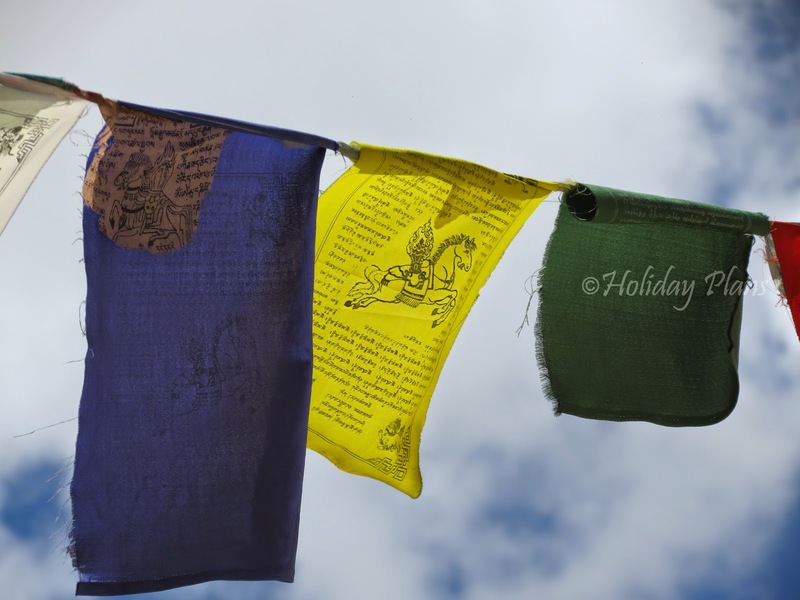 At Mulbekh, we visited Mulbekh Monastery, which has 2 gompas (Drukpa and Gelugpa) and a nine-meter tall statue of Maitreya Buddha. The terrain was getting more amazing after every passing minute and you’ll be in dilemma as to where to halt and take the best snap for your Facebook profile picture ;-). 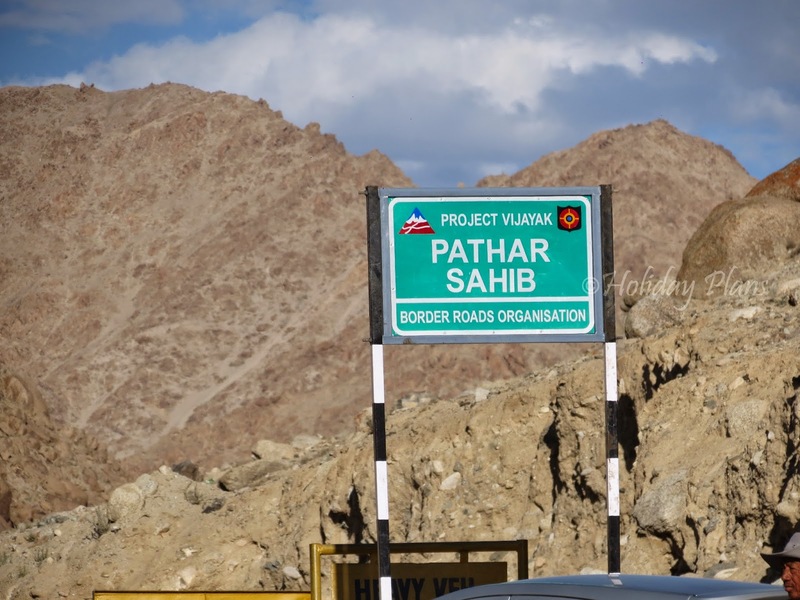 As one carries on, one will see many picturesque vistas while appreciating BRO (Border Road Organisation) for making this awesome highway which makes your journey one of the best ever. After about half an hour we reached our next stop -Namik-La (12,198 feet). Strong winds were blowing at this point of time but it is worth stopping by and capture some beautiful scenery. 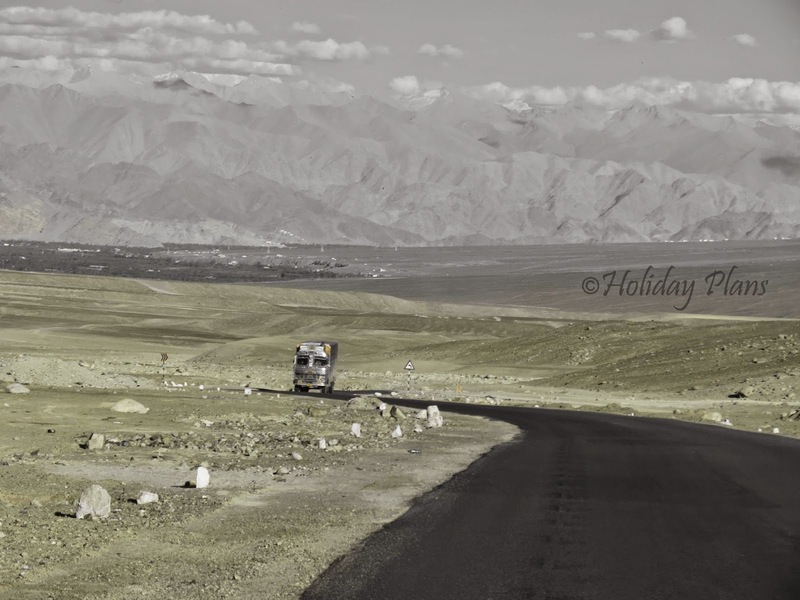 The driver was in a hurry to reach Leh so we left the stop early. 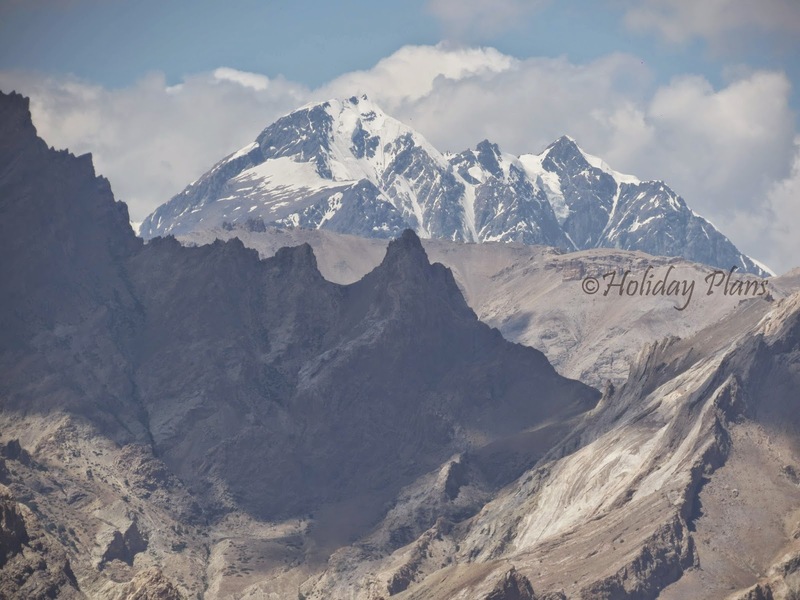 Next you’ll see mind blowing, mighty ,beholding, royal, staggering- well, we fall short of words didn’t we because we are referring to the highest mountain range in the world- The Himalayan ranges . 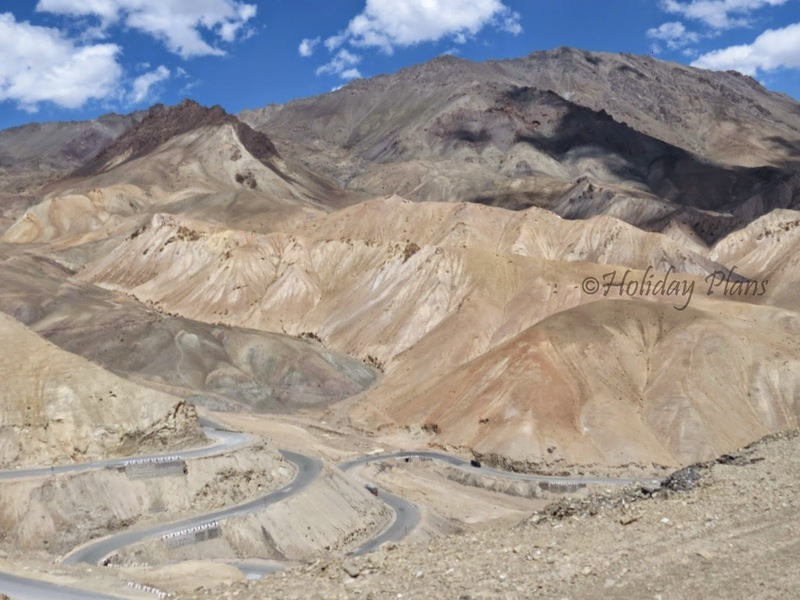 You won’t believe that you are travelling at a height of more than 12000 feet with such awesome sceneries and roads. I have attached a few pictures to give you the feeeeeelllll of the mind-boggling scene! 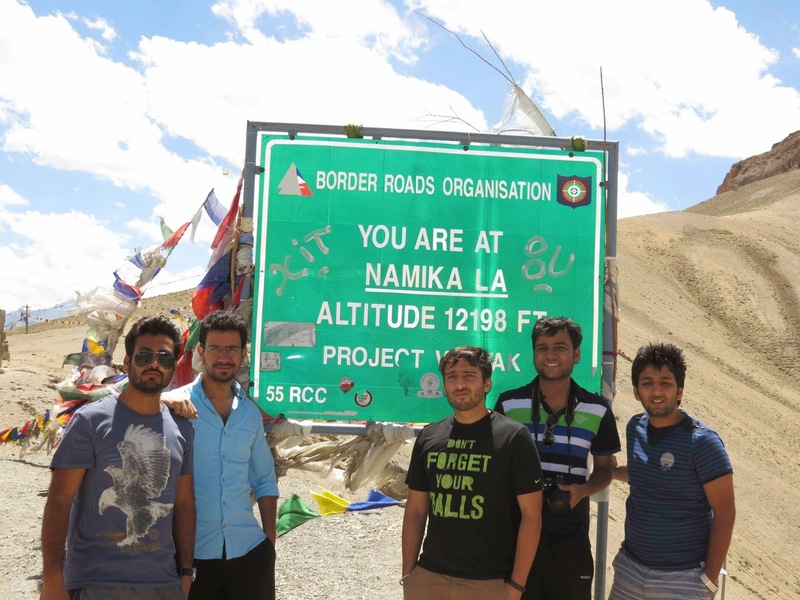 One can also stop at Fotula La (13,479 ft.)- The highest point on the Srinagar-Leh Road. Soon we saw Hungaroo Loops which, blending with majestic Himalayan peaks, were simply mesmerizing. 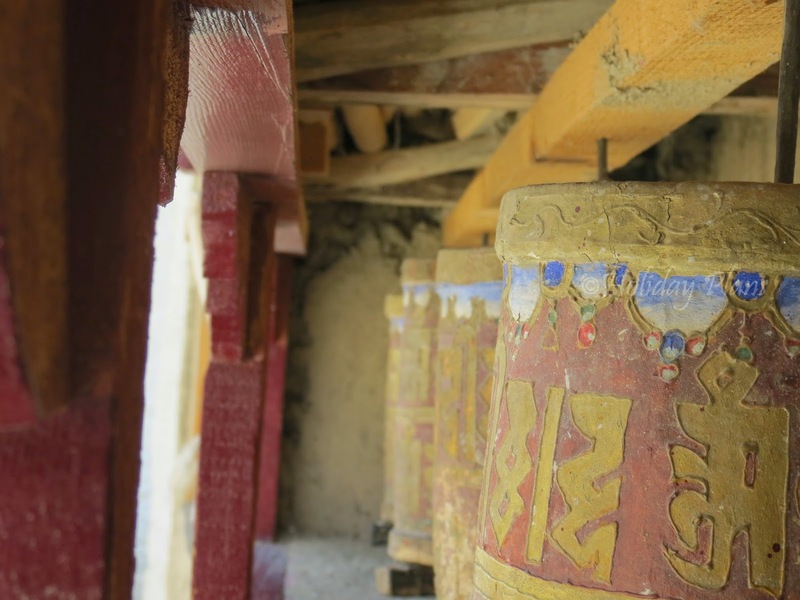 As our journey continued, we came to hault at our next stop- Lamayuru Monastery. 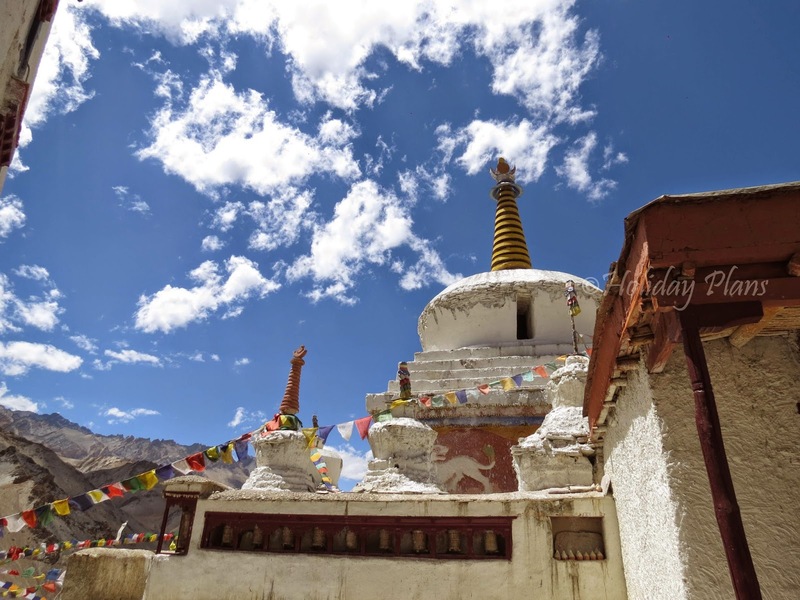 It is one of the oldest (11th century) and largest monasteries in Ladakh. Unfortunately we reached at lunch time (1:00 pm – 1:30 pm) during which the monastery was closed. So we haven’t had the opportunity to go inside but we did go around the monastery in the clockwise direction (called parikrama) spinning some praying wheels. Leh was still more than 100 kms from here so we stopped at Khaltse for lunch. We tried the Thukpa (some people believed that it is just soupy-noodles, but it is a lot more than that and worth eating once). The place also has a Punjabi dhabha for those who just can’t resist the North Indian food. One can see mountains changing colours at every turn and at some places you’ll find some violet shade mountains. As a result the roads have also acquired the violet colour. Keep reading BRO sign boards on the way; they would just add more fun to your already awesome journey. 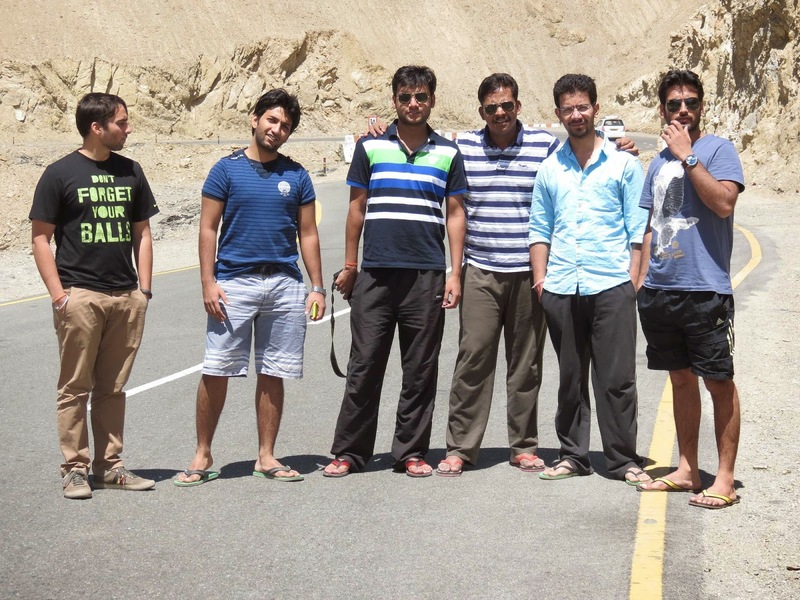 Before Leh, we crossed Alchi and Saspol and the sceneries were just out-of-the-world. A picture says a 1000 words! Yes a loooong flat road, flanked by the mountains at the far end! Don’t think twice over stopping here and fill out your camera’s memory card. 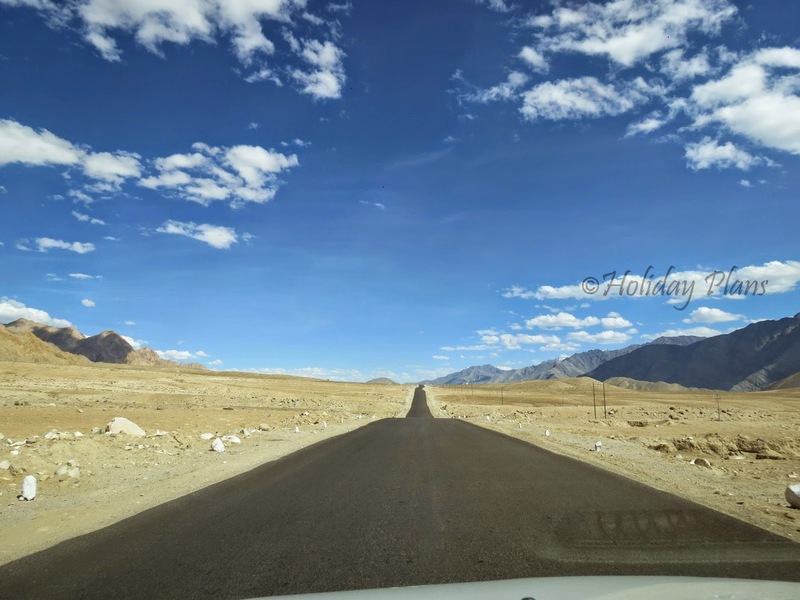 As you continue your journey on this flat road (called Kargil-Batalik National Highway), one will see another flat stretch and the moment you see straight ahead, you’ll be welcomed by some big words written on the mountain – MAGNETIC HILL. 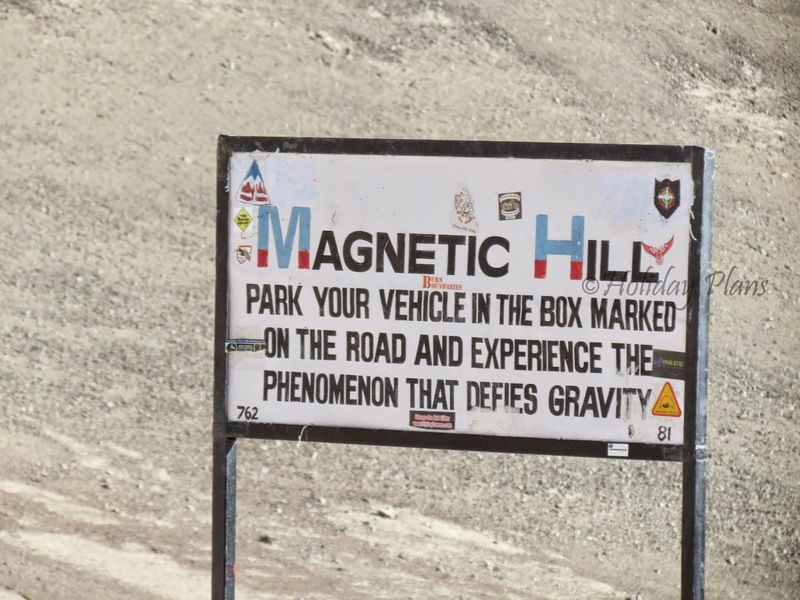 Magnetic hill (also called gravity hill) is a point where if you shut down the engine of the car and park your vehicle in the, marked box, your vehicle will move on its own. Some people say that it is an optical illusion but it is hard to believe especially when you can see your vehicles moving right in front of your eyes. One of my friend had an app in his mobile which tells the magnetic field in the area. The mark was around 55-60 Tesla in that particular area which was higher than any nearby region. Something was getting attracted here! Many passed the area without stopping, some even took their car up to the hill till the highest point where their car allowed. It was fun spending some time here. Leh was still 30-40 kms from here and before we reached Leh, we had an important landmark in between on this Srinagar-Kargil-Leh-Highway- Gurudwara Pathar Sahib. 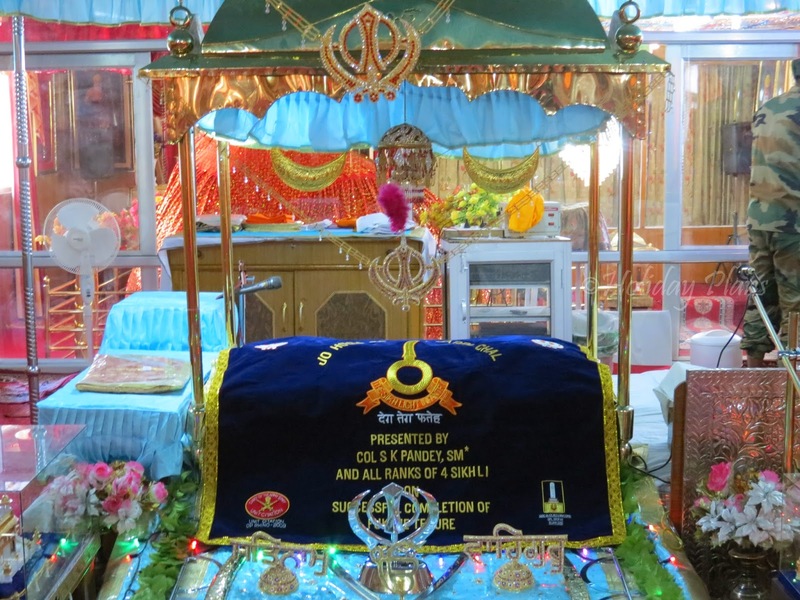 This is a divine place which was constructed in the loving memory of Guru Nanak Dev Ji. The Gurudwara was constructed after the 1999 Kargil war. 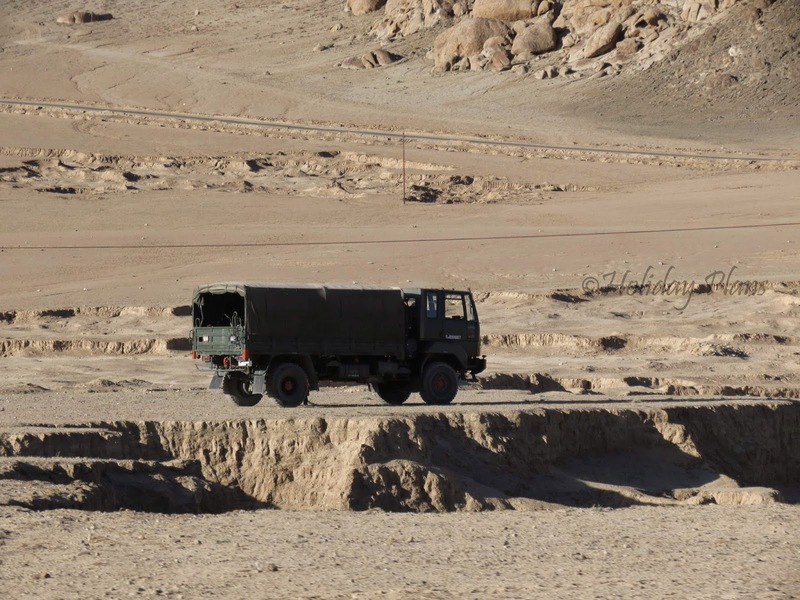 It is maintained and managed by Indian Army only. If you have done your planning to be present here on Sunday than you can have the privilege to have a Langar in the Gurudwara. 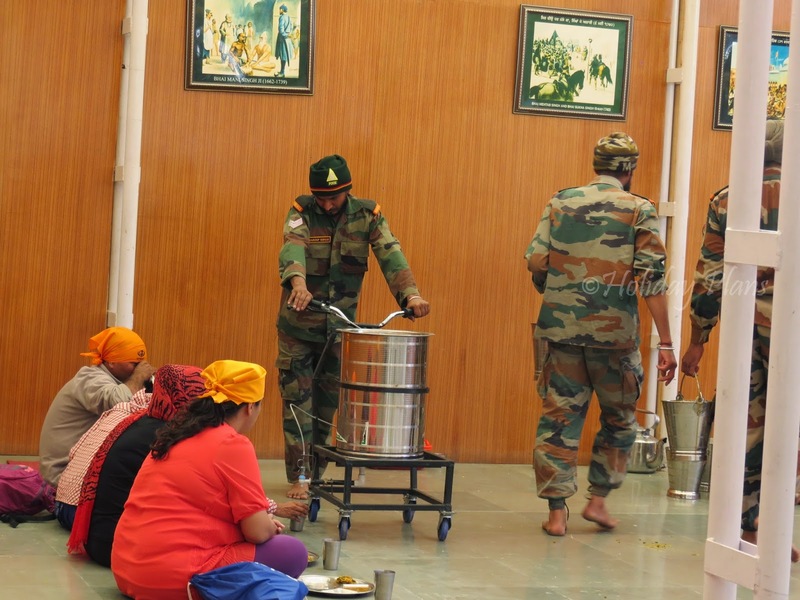 They serve tea and snacks on all the days but Langar is served only on Sundays. You can study about the history of the Gurudwara on the blue boards there, the place is worth stopping by and pay obeisance to the temple. 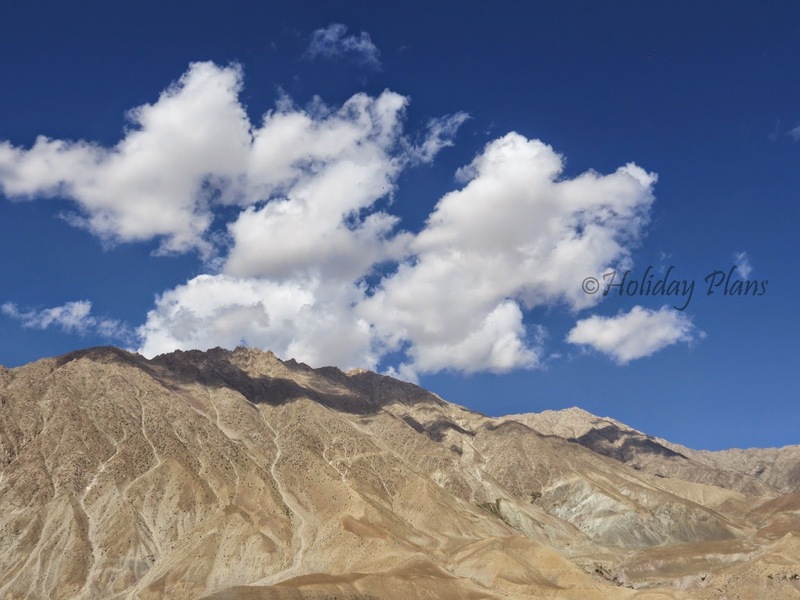 The journey of flat road, dusty brown mountains, blue sky, and white clouds with shadows moving on mountains continued. After crossing few military areas and Indian Oil petrol pumps, we finally reached Leh in the evening. The excitement was on cloud nine. For those who hadn’t taken any postpaid BSNL connection with them, Aircel network is present here and their mobile networks rose in glory ;-). The weather was pleasant here, and we enjoyed the stay in our guest house. The night sky in Ladakh is full of stars. Before the moonrise the place has an alluring charm. After the moonrise, the scene is altogether different which itself is mesmerizing in its own way. Don’t forget to check out other images in gallery. Well Written. 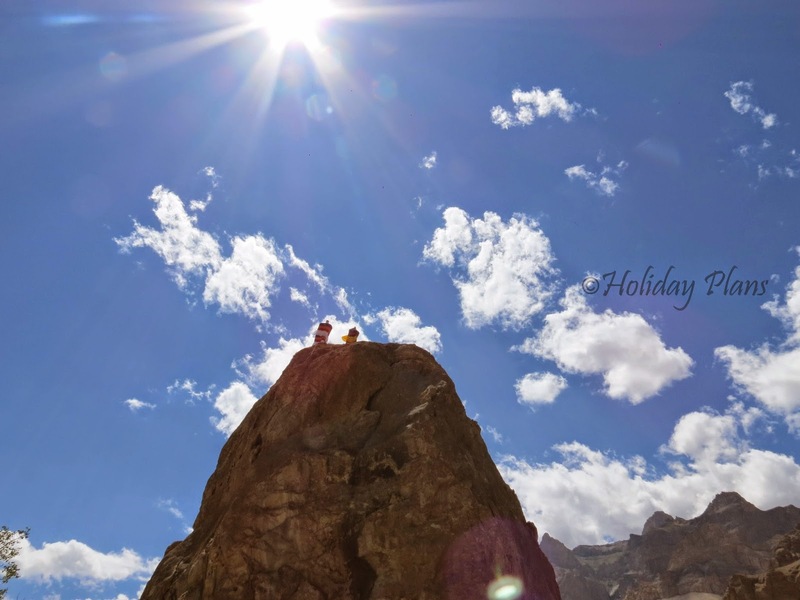 A trip where one can experience mountainous area. Brown mountains. Magnetic hill is a must watch here. Religious features too. 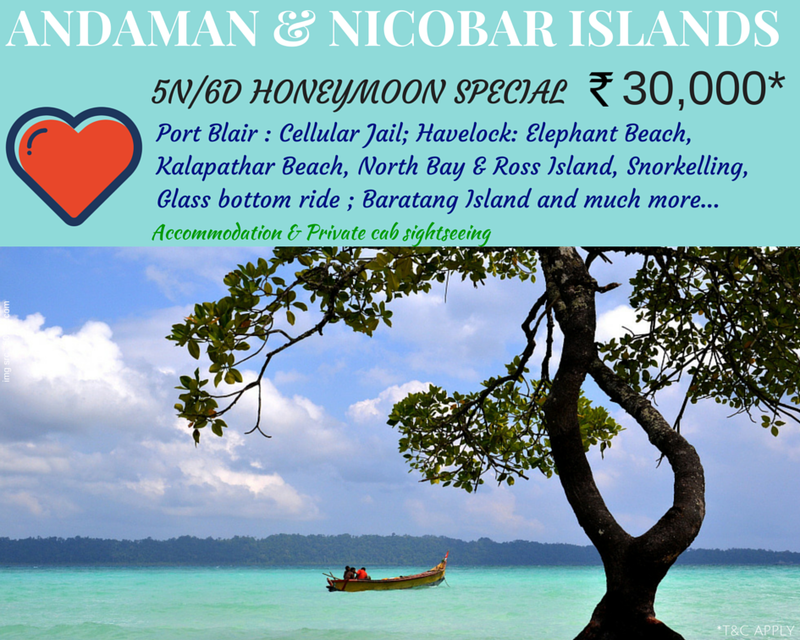 A trip full of masti, adventure, spiritual, thrill. Just see the management of Indian Army. Hats off to these brave hearts. A Lifetime experience. 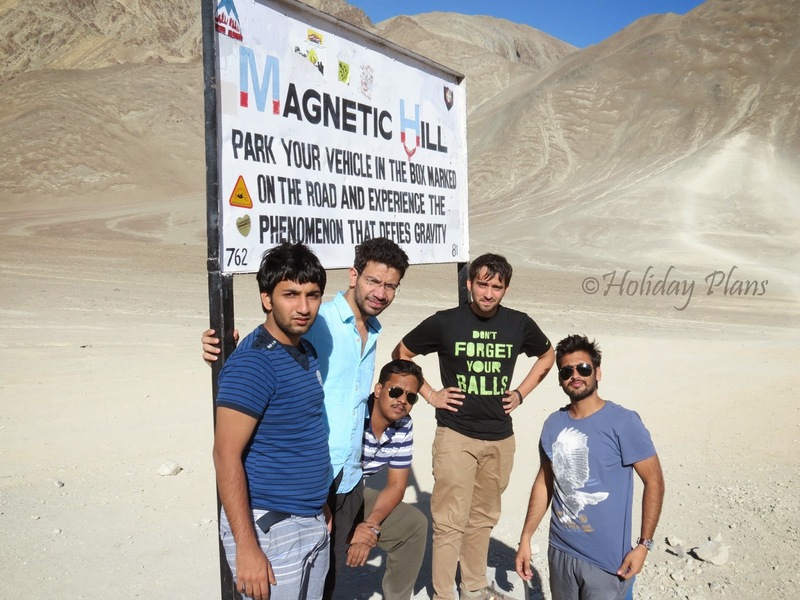 Magnetic hill!! i have gone there myself. Still curious to know how does it defy gravity..
@Rohit: Thanks man. This is our best part, wherever we go we click awesome pictures and publish them here. No picture is taken from Google. I really liked the magnetic hill part (Car Moves on its own). After reading the article I am really excited to visit this place. The pictures are really awesome and beautiful. The composition of article and pics is really amazing work you do in all the articles. @ayush - Thanks mate! Yes you should definitely make a plan to visit "Heaven on Earth"! Stay tuned for more fantabuluos pictures and articles! @Prateek - Yes indeed the region is majestic! it is a true representation of splendid beauty with lofty mountains, deep blue water, white dunes, Buddhist monuments, beautiful mosques and warm people.